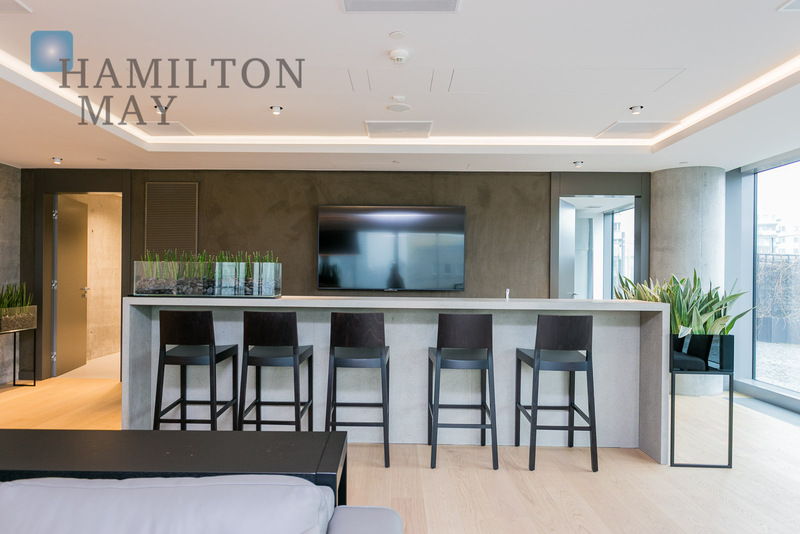 The apartment consists of a living room connected with a kitchen (which offers a beautiful view of the city skyline). 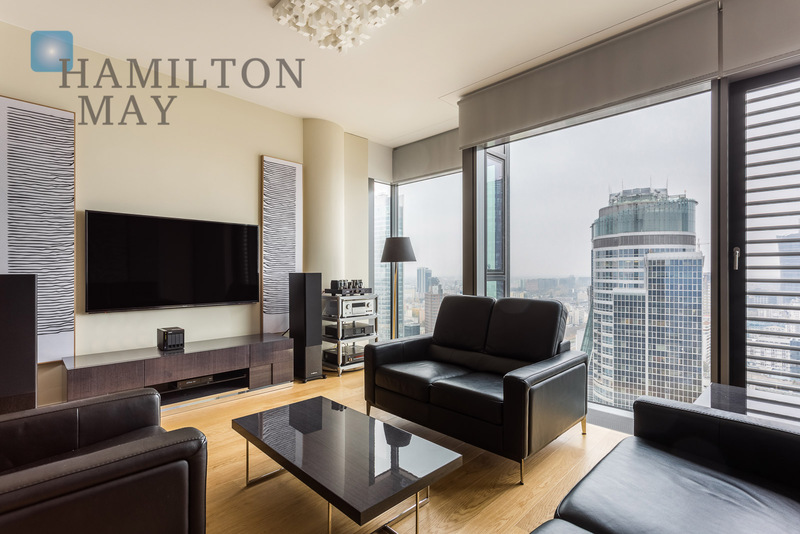 The living room comes with a recreational area fitted with a TV. 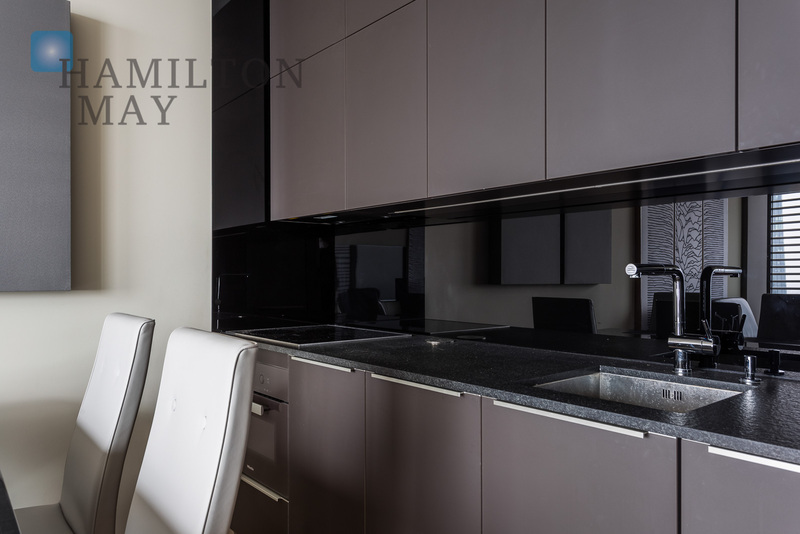 The apartment's kitchen has been equipped with a complete set of necessary household appliances of the highest quality. 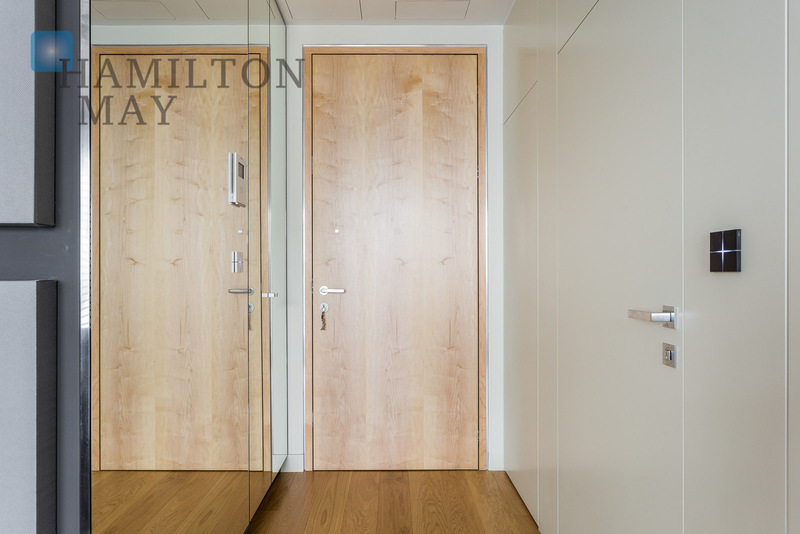 There is a built-in wardrobe situated in the hall - additional storage areas are located throughout the whole apartment. 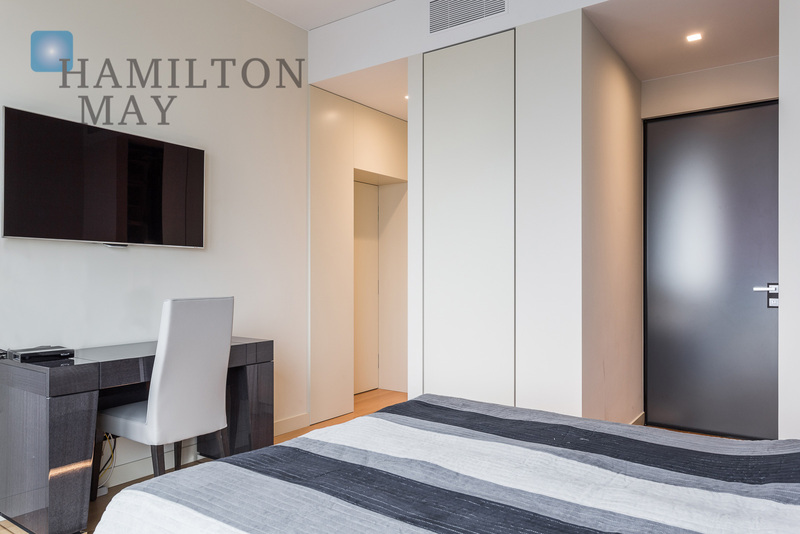 The bedroom (equipped with a double bed) comes with dressing room and offers a direct access to a bathroom fitted with a bathtub. 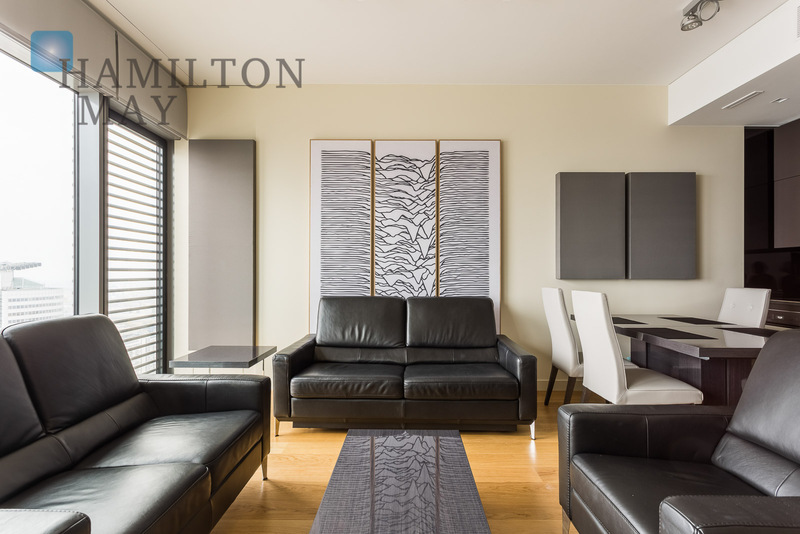 Finally, the apartment includes a parking space in the underground garage. 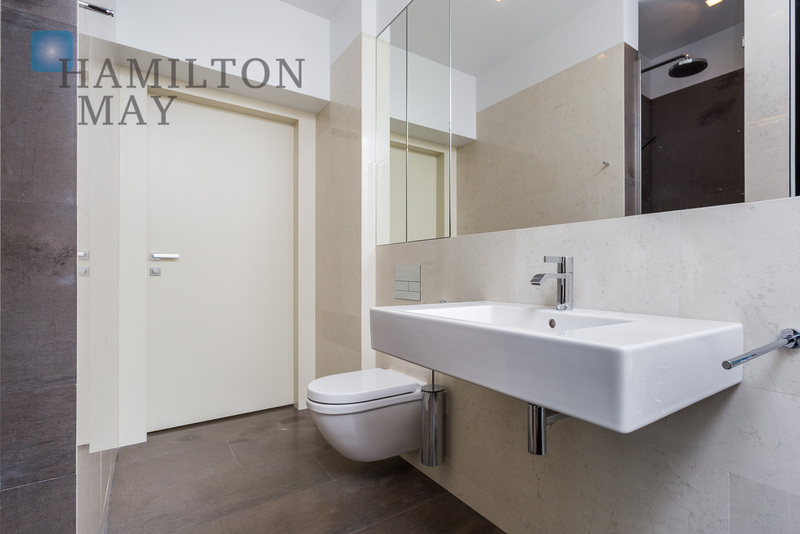 Great location, perfect architectural design and high quality of finish should satisfy even the most demanding clients. 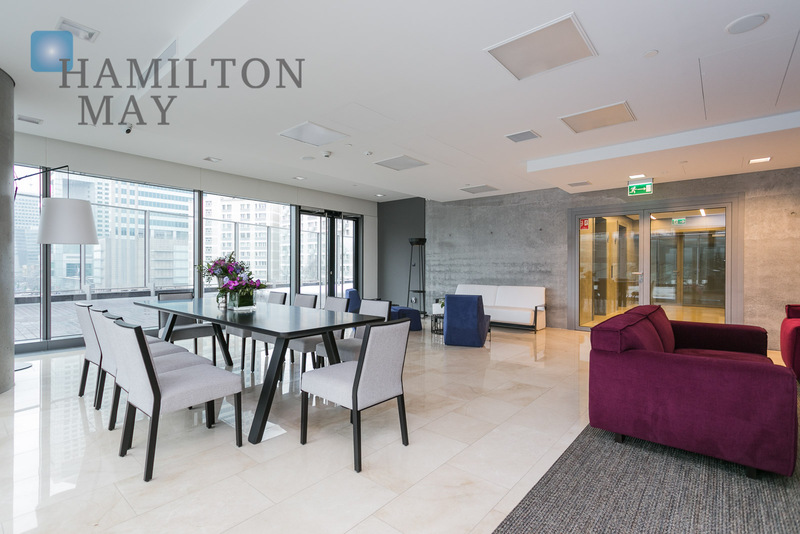 Apart from the development's increased safety (monitoring, security), the building also provides its residents with a relaxation area located on its 4th floor. 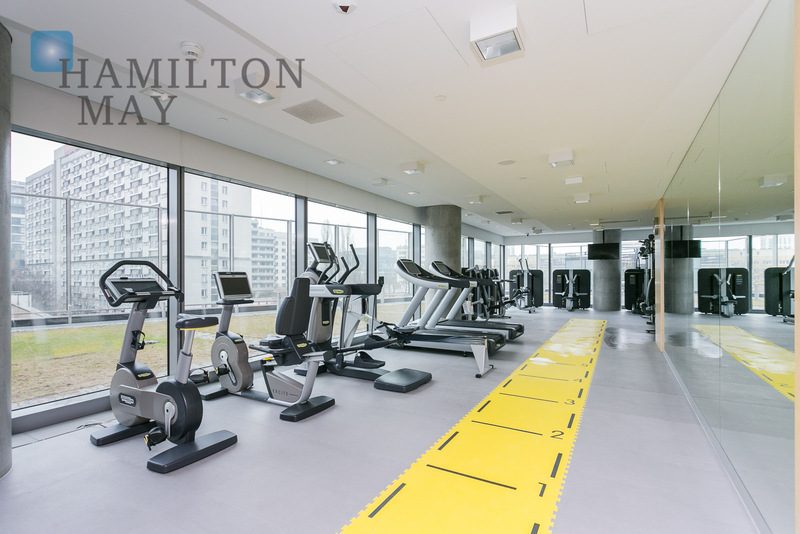 It features a fitness club with a gym, as well as a sauna and massage salon. 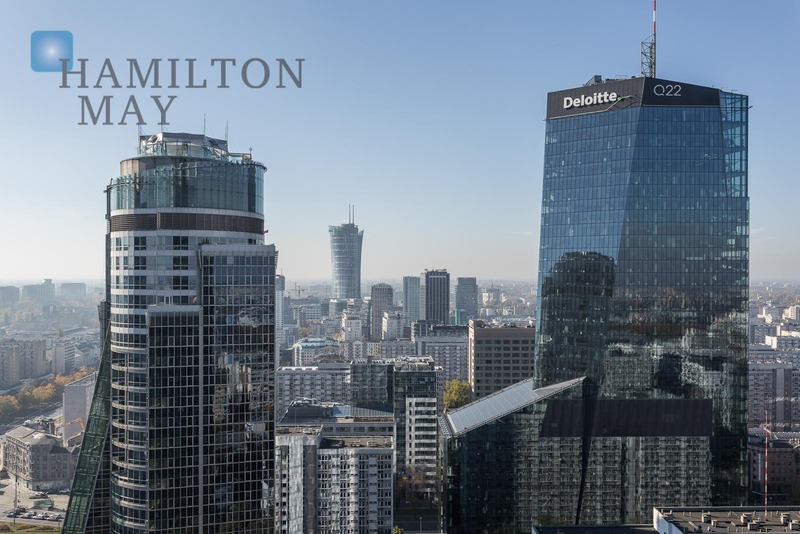 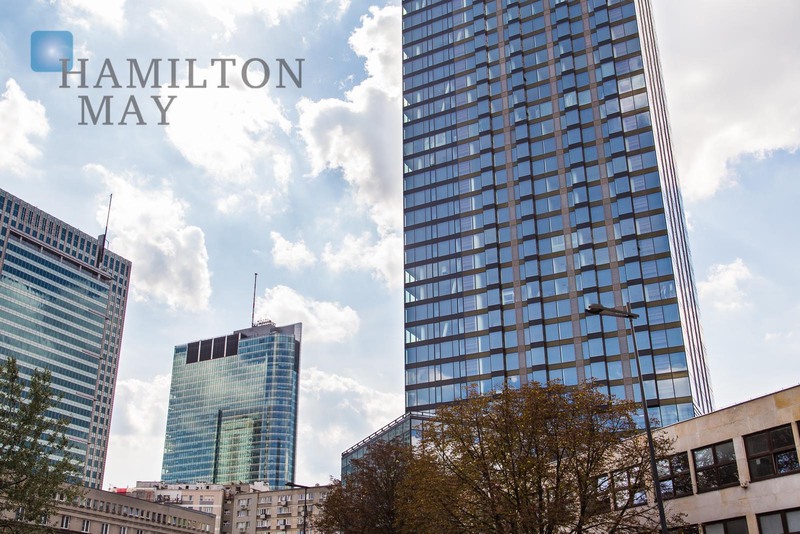 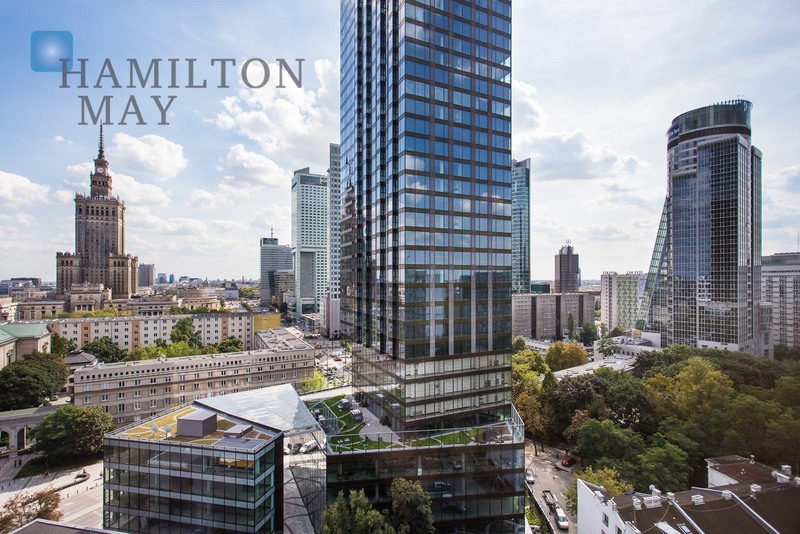 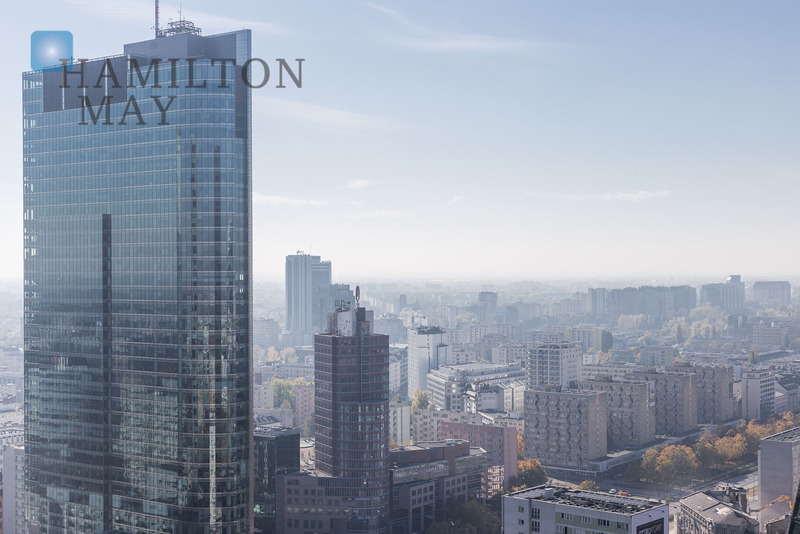 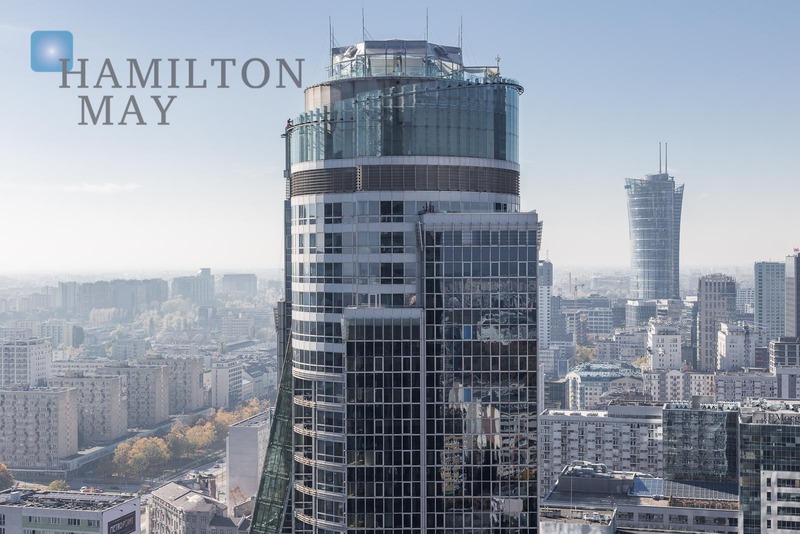 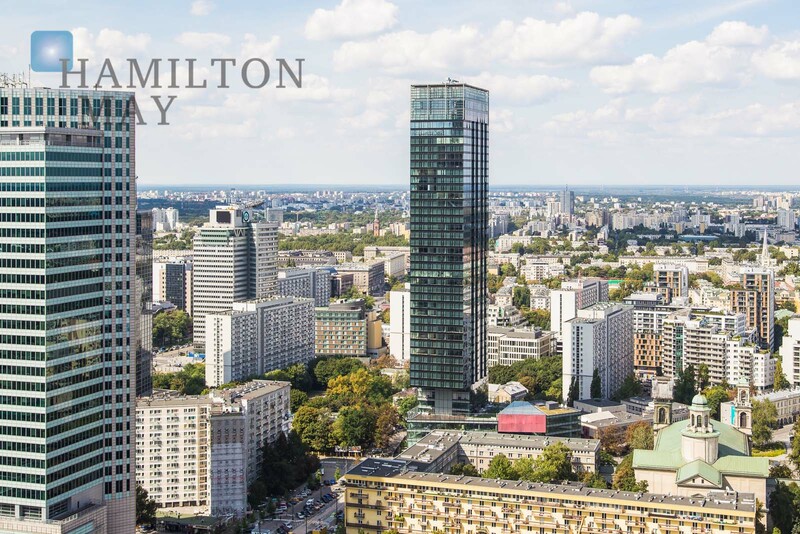 The Cosmopolitan Tower is located at the intersection of Emilii Plater and Twarda streets, in the very center of Warsaw and in the immediate vicinity of the Grzybowski Square. 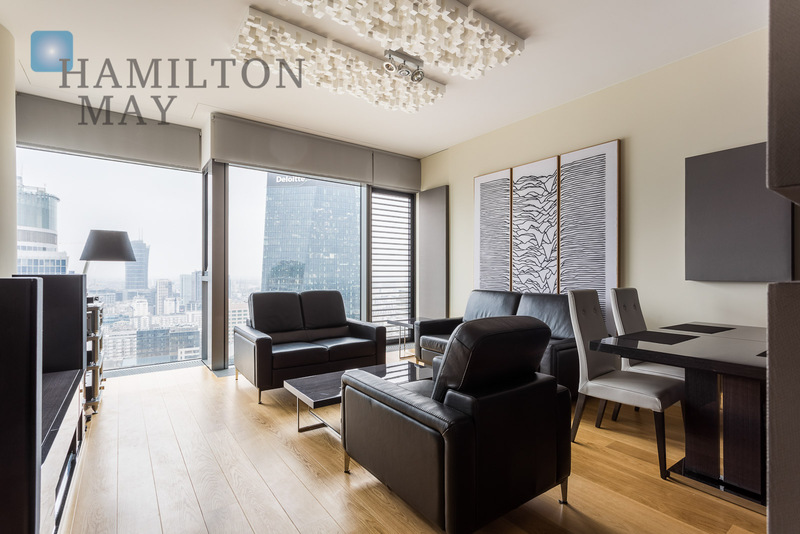 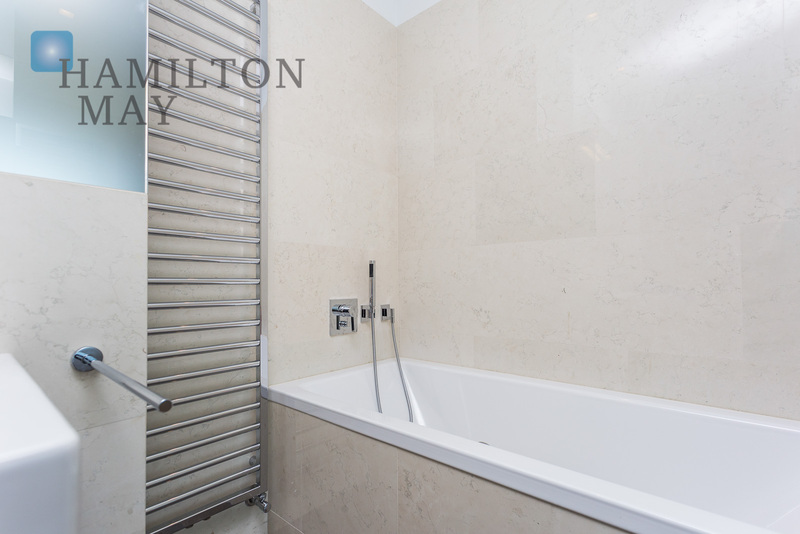 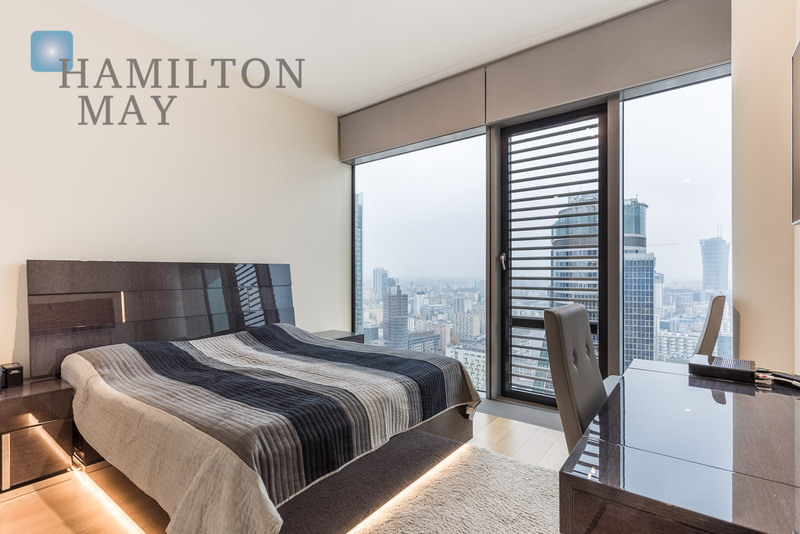 Hamilton May invites you to arrange a viewing of this property.